Life’s too short. Delegate those tasks! Did you know that you can save up to 75% per year? 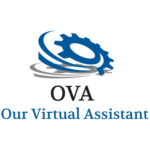 Outsourcing with Our Virtual Assistant let’s you focus on what you really need to be doing. So let us help you with those tasks that take your precious time away from your goals. We are a remote office administration service that provides a range of business services that can be engaged on an add-hoc, project or retainer basis. Our Virtual Assistants are highly skilled and experienced covering all areas of business administration and secretarial services. We provide a personal assistant service to businesses and individuals of all sizes. My background is 22 years experience as an EA to Senior Executives in large companies and I have a varied skill set in Administration, Finance, HR and Marketing.